We Want Your Feedback! Take our Curriculum Student Survey. In an effort to continually improve our programs and services, we at CPCC are extremely interested in receiving feedback from our students. Your thoughts and ideas are important to us and will help us make decisions now that will affect the future of CPCC. 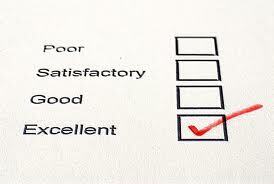 Therefore, we would greatly appreciate it if you would take some time to complete our survey. After you have completed it, hit “Submit.” The survey should take you about 10-15 minutes. Your answers are completely anonymous and no responses can be connected to email information. The deadline for responding to the survey is April 14, 2017. Thank you for your cooperation and time in completing the survey. If you have any problems in accessing the survey, please call Denise Wells at 704.330.6617. In an effort to continually improve our programs and services, we at CPCC are extremely interested in receiving feedback from our students. Your thoughts and ideas are important to us and will help us make decisions now that will affect the future of CPCC. Therefore, we would greatly appreciate it if you would take some time to complete the survey below. Just click on the following URL and it will take you to the survey. After you have completed it, hit “Submit.” Once you hit “Submit” the survey should give you a message “Thank you for your response.” The survey should take you about 10 minutes. Your answers are completely anonymous and no responses can be connected to email information. The deadline for responding to the survey is April 2, 2015. Thanks for your cooperation and time in completing the survey. If you have any problems in accessing the survey please call Denise Wells at 704.330.6617 or Mary Heuser at 704.330.6061.